Jane Holcomb, beloved mother and grandmother, passed away Sunday, February 10, 2019 at her home in Jacksonville. She was born March 16, 1941. Jane was a realtor for many years. 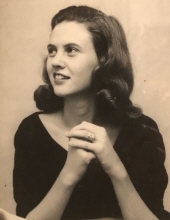 She was preceded in death by her father and stepmother, Maurice and Glynn Holcomb; mother, Grace Garrison and brothers, Johnny and Danny Holcomb. Left to cherish her memory are her sons, Kris Holman and wife Patti and J.K. Holman and wife Trish, all of Jacksonville. She is also survived by six grandchildren; eight great-grandchildren and several nieces and nephews. A funeral service is scheduled at 2 o’clock in the afternoon Sunday, February 17, 2019 at First Christian Church in Jacksonville. Rev. Barbara Morgan will officiate. Services are under the direction of Autry Funeral Home of Jacksonville. Rather than customary condolences, memorials in Jane’s memory may be to the First Christian Church at 1920 Beaumont St. Jacksonville, Texas 75766. "Email Address" would like to share the life celebration of Jane Holcomb. Click on the "link" to go to share a favorite memory or leave a condolence message for the family.